At the age of 14, Ben became interested in photography and saved up for his first “serious” camera...a Praktica BMS to be exact. Taking photographs of more or less anything that caught his eye, Ben decided that this was something he wanted to concentrate on as a career and not just a hobby. On leaving school, Ben studied Professional Photography full time for 2 years at Barking College of Technology & gained City & Guilds qualifications. It was through college he landed his first job, a Darkroom Technician at Visual Communications Group in Docklands, London. Whilst in this role, Ben not only learnt a lot about photographic processing but also gained a lot of knowledge about the photographic business in general. Around his “day job” Ben was building up his photography, particularly portraiture. He soon became interested in music photography and started to photograph some of the world’s leading singers/bands/musicians during performance at London’s top concert venues by applying for access into the shows and submitting his pictures to Colorific Photo Agency, a Sister company of VCG. His first show was Janet Jackson at Wembley Arena. This paved the way for what was to come. Three years down the line, Ben decided it was time to swap the darkroom for a lightbox and he got the job as Picture Researcher for The Telegraph Colour Library, also part of VCG. Selecting pictures for use within national newspapers, magazines, billboard posters, CD sleeves, books etc added more strings to his bow and enabled him to add to his experience from a different angle. Still concentrating on his photography at every opportunity, Ben’s career was rapidly progressing and he was promoted to Senior Picture Researcher. Things were getting serious. In 2000, Getty Images, the world’s leading picture library took over VCG and Ben was fortunate enough to keep his role within Picture Research. Working for Getty opened his eyes even more to the commercial world of photography and gained him even more experience and contacts within the advertising and media industry. Ben’s ultimate dream of becoming a full time photographer was rapidly approaching and at the end of 2002, he quit his job within Picture Research and became a freelance photographer. With support from The Prince’s Trust, he was soon able to set up his own private studio. 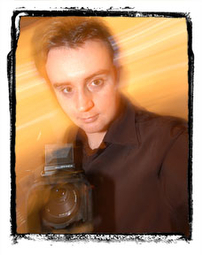 Ben is now an established photographer who spends his time photographing mainly people as well as still life subjects. His clients include up and coming as well as established musicians/singers/bands/actors/models and celebrities both at his Essex based studio and on location nationally and internationally. His work is regularly published worldwide and is represented by some of the leading photo agencies. I hope you will enjoy the work displayed on this site and that you will consider Ben Rector for your next project.